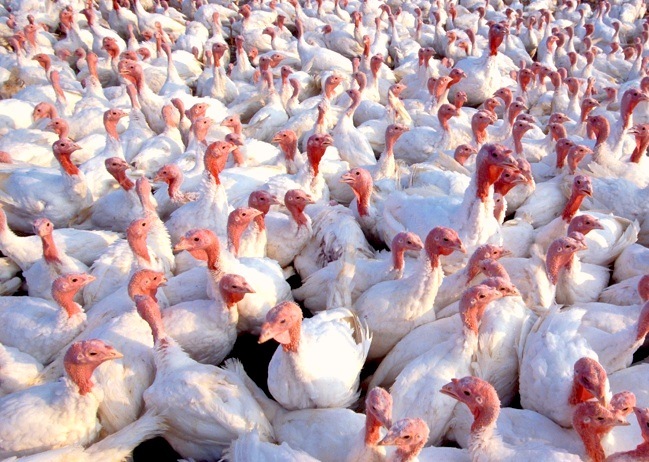 Today is the American Thanksgiving, and I am counting my blessings, which are more numerous than these turkeys. As always, I am grateful to be here for another Thanksgiving. Maeve and I could so easily have died during her birth — or we could have suffered horrific brain damage. I never forget that, and I think of the people who saved our lives nearly every day. I lost my job this year, but that has given me more time to work on Birth Story. Yay! Of course, the fact that my husband has a job helps my outlook a great deal. My prayers are with people who have not been as fortunate as we are. Our family has shrunk with our daughter Nora's graduation and subsequent move to California. That's a tough one to celebrate, but she is following her bliss, and I believe she is grateful to be making her own way. And we will have a nice Thanksgiving dinner, just the three of us, with a turkey breast for the first time instead of a big ol' turkey, but still with all the trimmings. We'll be grateful for pumpkin pie, I know that. And I'm glad I'm not a turkey. What are you grateful for? I would love to hear from you. Happy Thanksgiving!